Hello sweet friends! I hope you’re having fun preparing for Christmas, baking or otherwise. 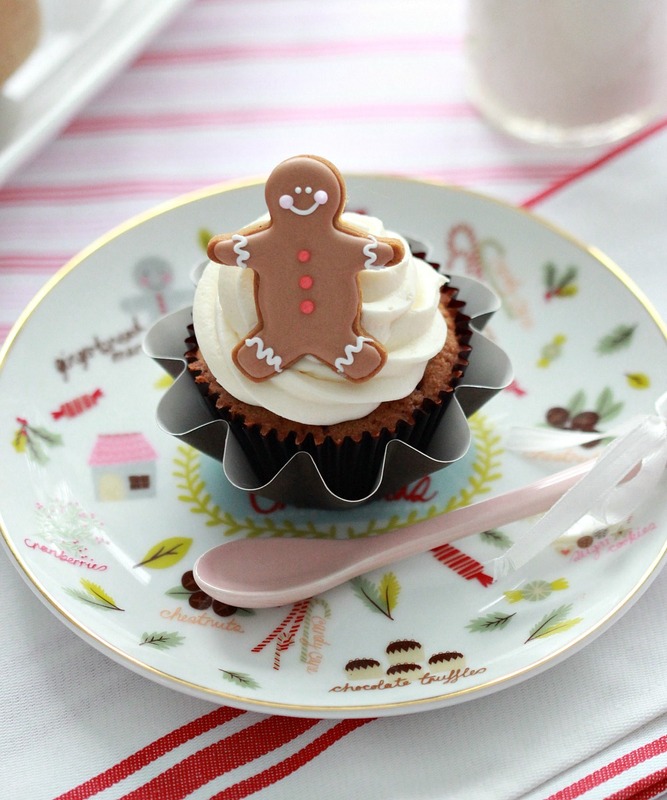 If you’re feeling a little overwhelmed with preparations, I’ve got an easy, delicious and good-for-you cupcake recipe to share with you, Coconut Cupcakes, garnished with this whimsical little guy. They’re truly easy to make (including the gingerbread man topper, really! 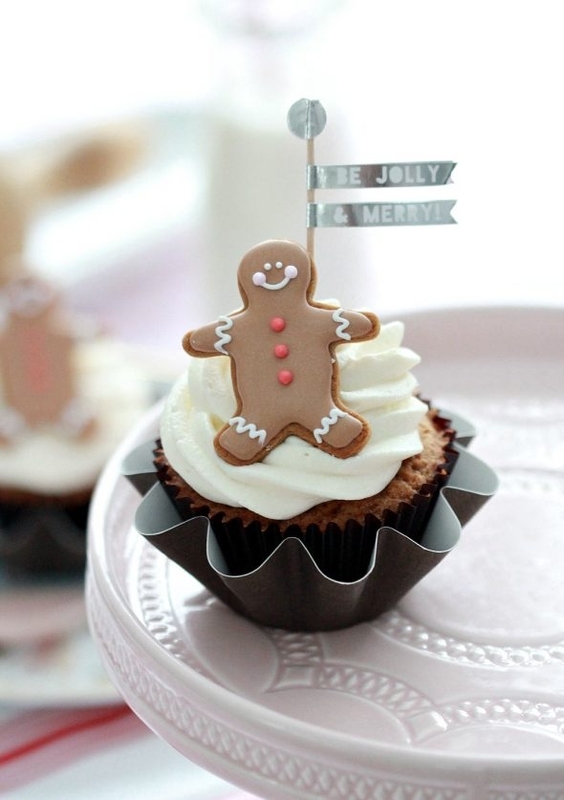 ), and are a perfect treat for the people in your life who may not normally eat the average decadent cupcake, and also for those who do. I wouldn’t even say anything to your sweet-tooth friends or family, they won’t know that the cupcake is packed with goodness; made with organic coconut oil and organic coconut sugar. I will tell you right off the bat that this post was sponsored by Grace, but I only work with companies that I know and love. 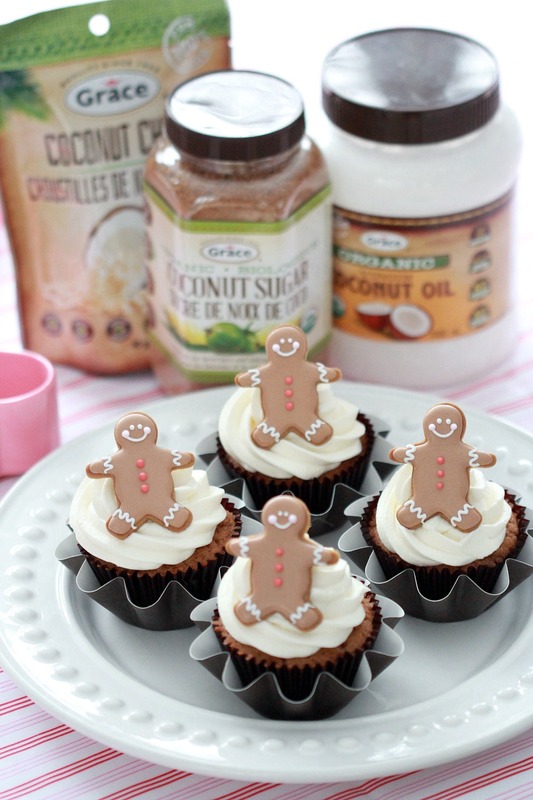 I hope you enjoy learning about and baking with Grace Organic and Natural Coconut Products in this recipe and others! I chose a coconut flavour as I wanted to use the Grace coconut chips (I actually eat them as a snack and love them) in my cupcake, but there’s no need to stick with only coconut flavours. You can easily swap coconut sugar with white sugar, as long as you know that coconut palm sugar has a more-rounded flavor than cane sugar, with distinct caramel and butterscotch notes. It’s best to use in recipes that you could interchange white or brown sugar as it tastes closer to brown sugar as a 1:1 substitute. It’s a 1:1 substitute for butter. Use the same way you would butter in a recipe; add coconut oil at the same temperature as the butter. Melted coconut oil should be substituted for melted butter; room temperature coconut oil should be substituted for solid butter. Store your coconut oil at room temperature. During winter, coconut oil can get hard to mix with its solid state so it can be melted a bit for softness/ease of use in recipe. Bake the recipe for the same amount of time as you would if butter was used. Adjust the amount of salt you add in the recipe if you substitute coconut oil for salted butter. A stick of salted butter contains approximately half a teaspoon of table salt. 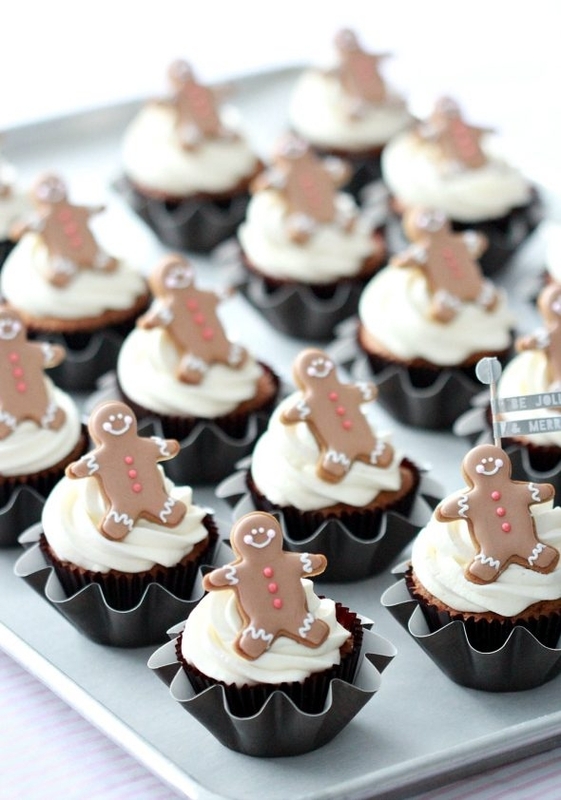 I hope you have fun baking these! If you make them, please let me know in the comment section or tag me on social media. 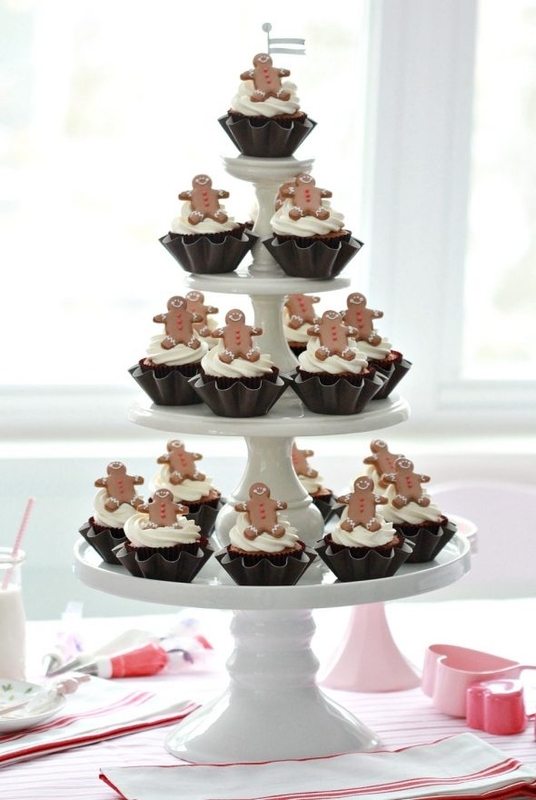 The gingerbread men toppers are gingerbread cookies with royal icing. You can find the cutter here and a similar how-to here. In the recipe, if you don’t have buttermilk, you can substitute. For each cup of buttermilk substitute one cup of milk with one tablespoon of white vinegar or lemon juice. 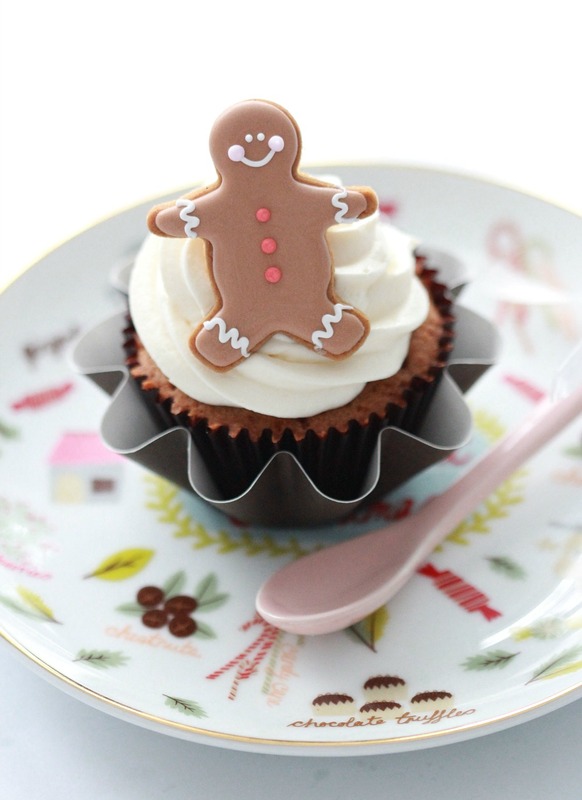 You can find the recipe for Cream Cheese Icing here. *If you don’t have buttermilk at hand, you can substitute by mixing 1 cup of milk with 1 tablespoon of white vinegar or lemon juice. Cream the coconut oil and coconut sugar in the bowl of a stand mixer fitted with the paddle attachment, on high speed, for approximately 3 minutes. You may need to occasionally scrape down the sides of the bowl and the attachment. With the mixer on low speed, add the eggs, one at a time, letting each egg be mixed in before you add the next, and scraping down the bowl after each addition. Add the vanilla extract and mix. In a separate bowl, sift together the flour, baking soda, baking powder and salt. In two parts, alternately add the dry ingredients and the buttermilk to the batter, beginning and ending with the dry. Mix until just barely combined. Fold in the finely crushed coconut chips. Line a muffin tin with paper liners. Fill each liner with batter, until about ¾ full. Bake for 20 minutes or until a toothpick comes out clean. 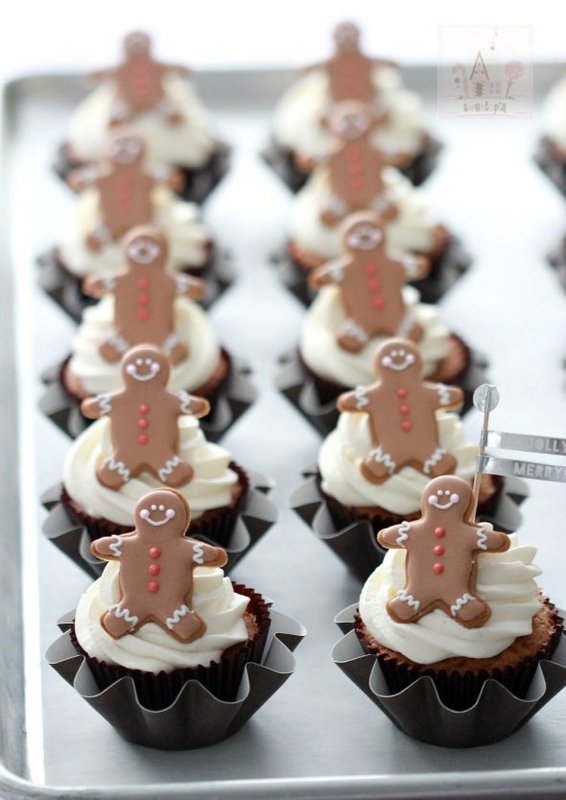 Allow cupcakes to cool for about 15 minutes and then remove to a baking rack to completely cool. 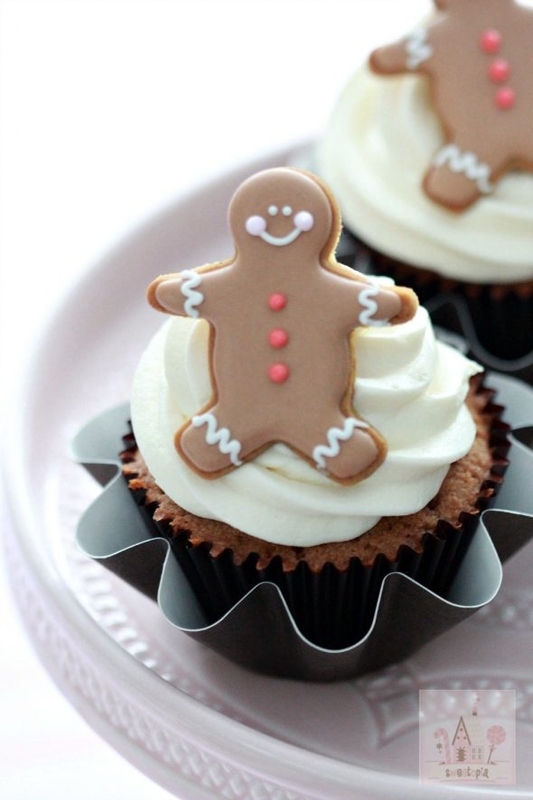 Garnish with icing or serve as is! I’m only catching up with reading your site today. 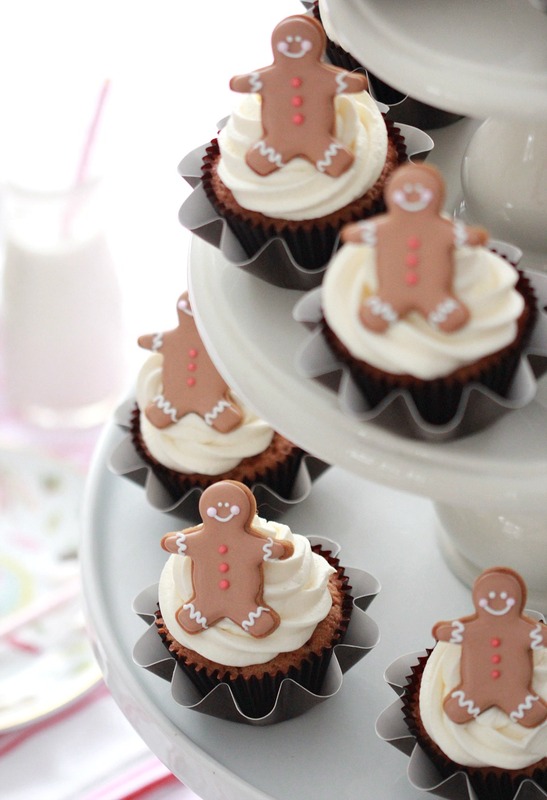 Very gorgeous cupcakes with that handsome gingerbread man on top! Love how you display your product! I never used coconut oil yet! I will have to try your recipe! Have a wonderful day and relax some time soon! Thank you for sharing all your great work and ideas. 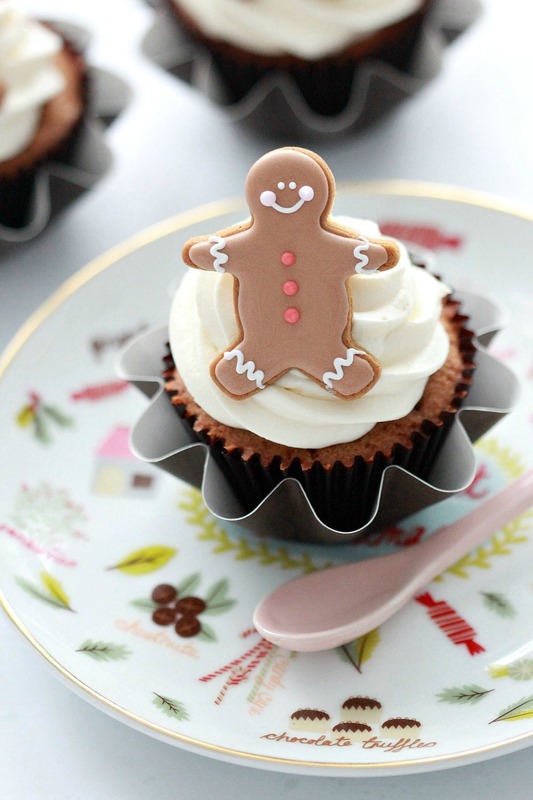 Just love those cute cupcakes and that gingerbread man. 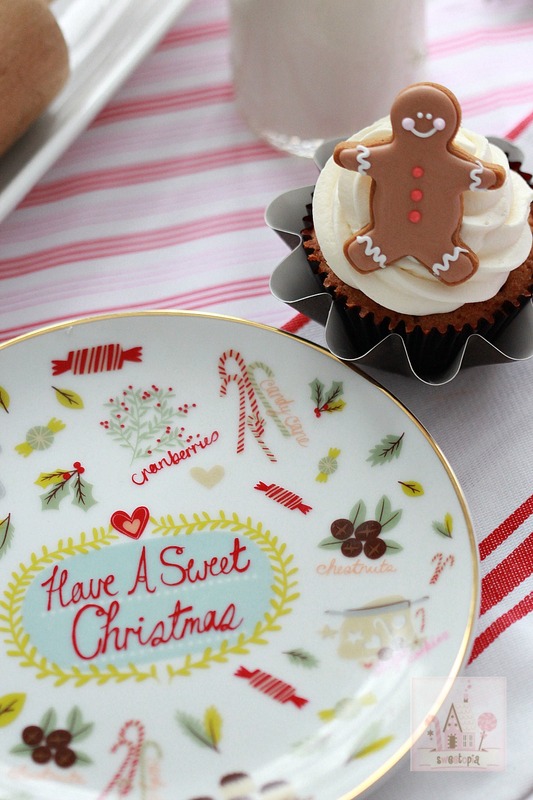 It looks so perfect for the holidays!